I chose this song to be a warm up activity for my students. 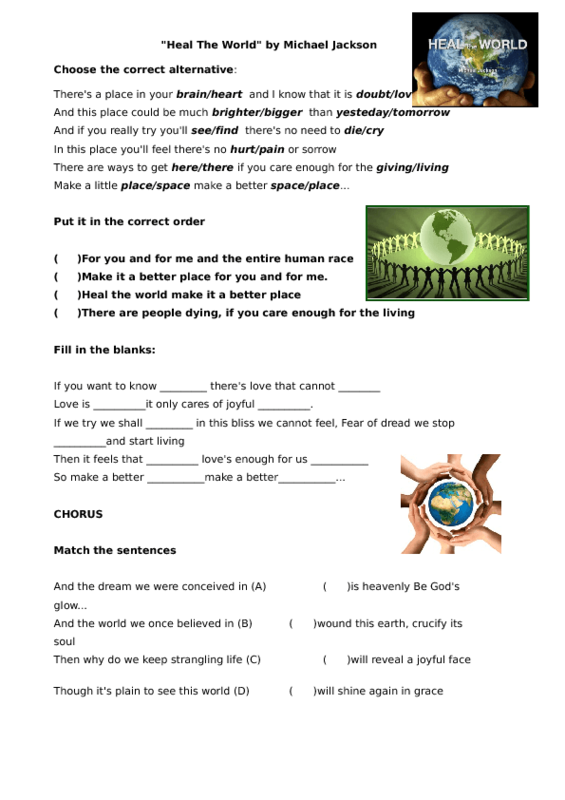 The idea here is to try to explore the meaning of the song with the students.There are different types of exercises so you can reach different levels of English. I hope you all enjoy the activity and the song. I used the video "Michael Jackson Tribute - Heal The World - Child Prodigy Cover | Maati Baani. It is really beautiful.